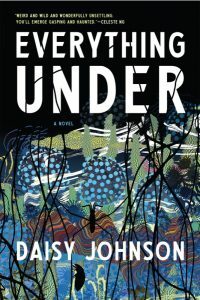 Daisy Johnson’s Man Booker-shortlisted Everything Under (Jonathan Cape) is the only Penguin Random House offering on the 10-strong longlist. Last year’s award went to Preti Taneja for her retelling of King Lear, We That Are Young (Galley Beggar Press), who called for greater bravery in publishing after being “roundly rejected” by mainstream publishers on submission. The chairman of the Prize’s trustees, Dallas Manderson, said: “It is with great pride that we once again present a list that combines dazzling debuts which have already caught the attention of the literary world with a number of titles that have so far flown a little under the radar – undeservedly so. This year’s award is judged by author Alan Hollinghurst, literary editor of the Times, Robbie Millen, and m.d. of the Booksellers Association, Meryl Halls. The prize was founded in 2007 to recognise new fiction. Every year, a panel of three judges look for a novel, from any genre, which has a compelling narrative, arresting characters and which is both vividly written and confidently realised. Click here to find out more and go to the Bookseller article.